Remove the rear tire and wheel assembly. Refer to Tire and Wheel Removal and Installation. 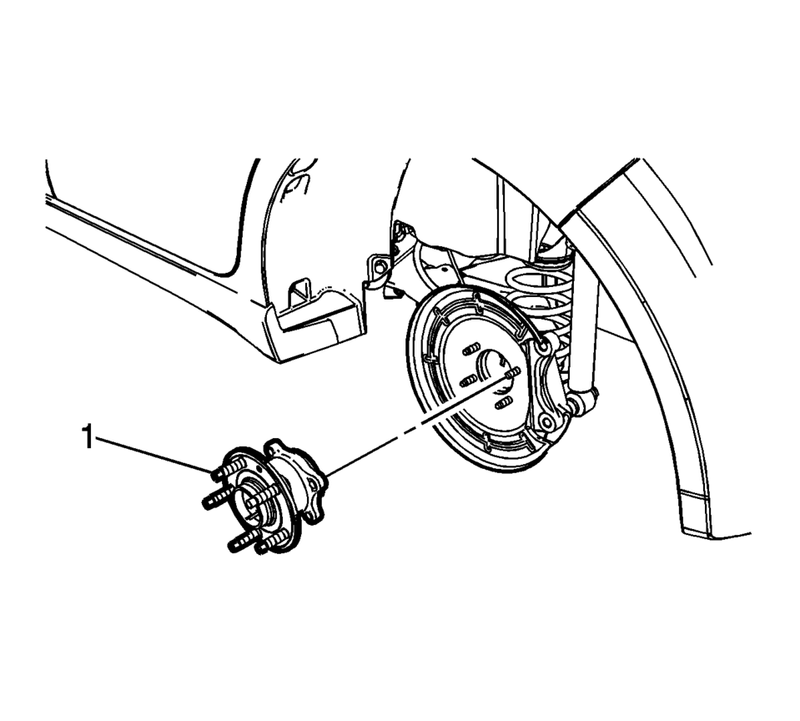 Remove the rear wheel bearing and hub assembly (1). Refer to Rear Wheel Bearing and Hub Replacement. Remove the rear brake shield (1). Install the rear brake shield (1). Install the rear wheel bearing and hub assembly (1). Refer to Rear Wheel Bearing and Hub Replacement. Install the rear brake rotor. Refer to Rear Brake Rotor Replacement. Install the rear tire and wheel assembly. 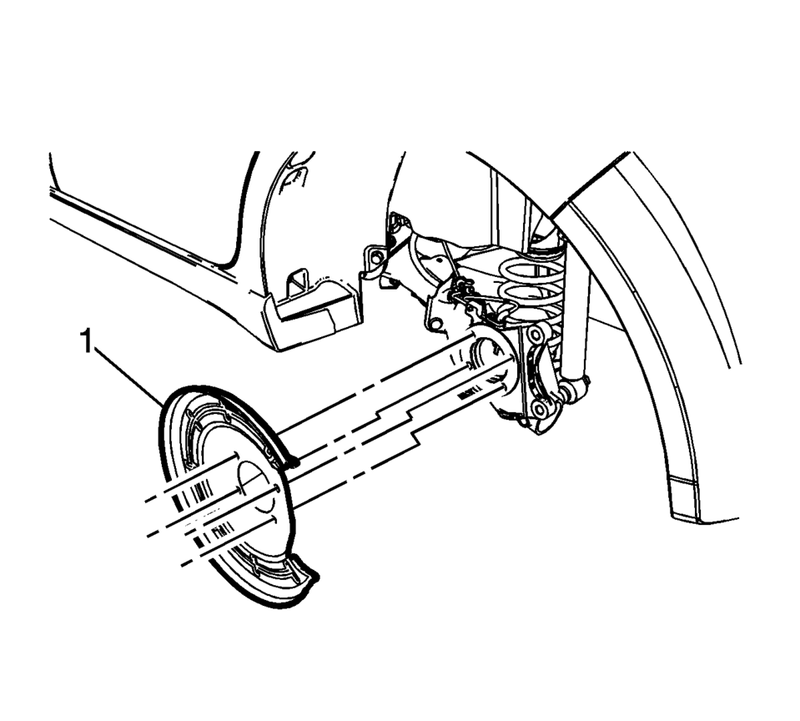 Refer to Tire and Wheel Removal and Installation.